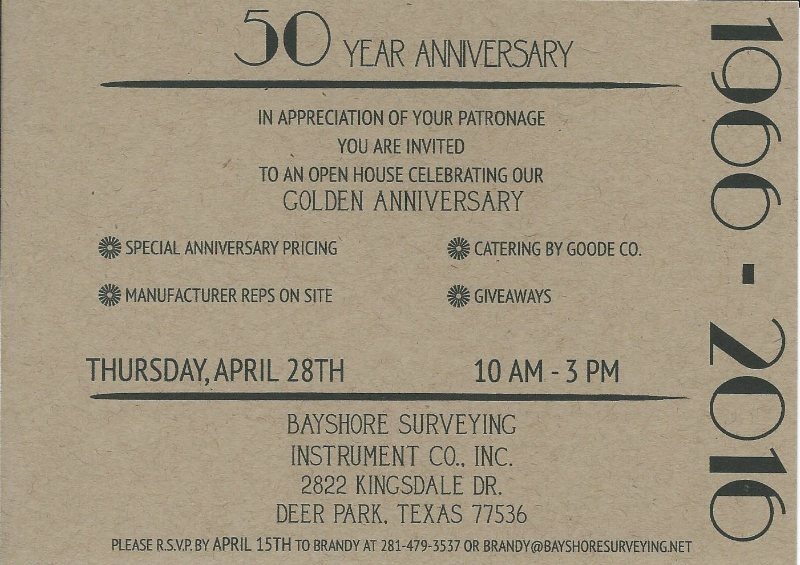 Over the past 50 years this company has had some great times and made some wonderful memories. We will be posting many pictures and sharing some interesting stories as we celebrate this momentous milestone! 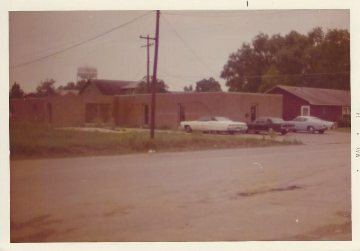 May 1974 - First section of Bayshore building before the add on in the 80's. 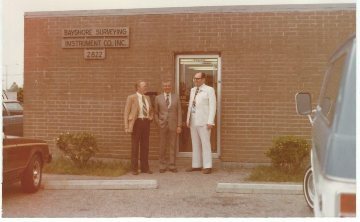 1970's - Milton Hanks (far right) along side the President of Zeiss and salesman for Zeiss. Two years after opening Bayshore Surveying, Milton Hanks began teaching at San Jacinto Community College in Pasadena, Texas. Most of the classes he taught were scheduled in the evenings which allowed him the time to still continue building up his business during the day. 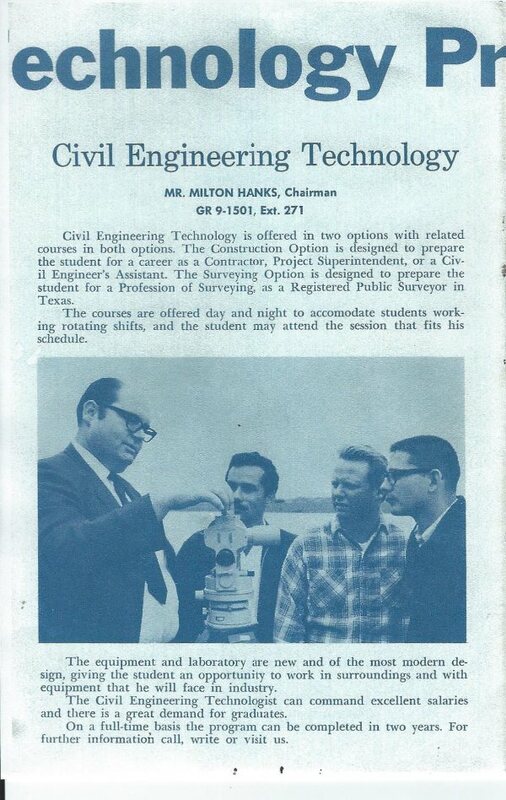 After a couple of years he soon became Chairman of the Civil Engineering Technology Department. Pictured above is a general course catalog that went out to all students at the time explaining what majors the college offered as well as the classes needed to obtain that particular degree. 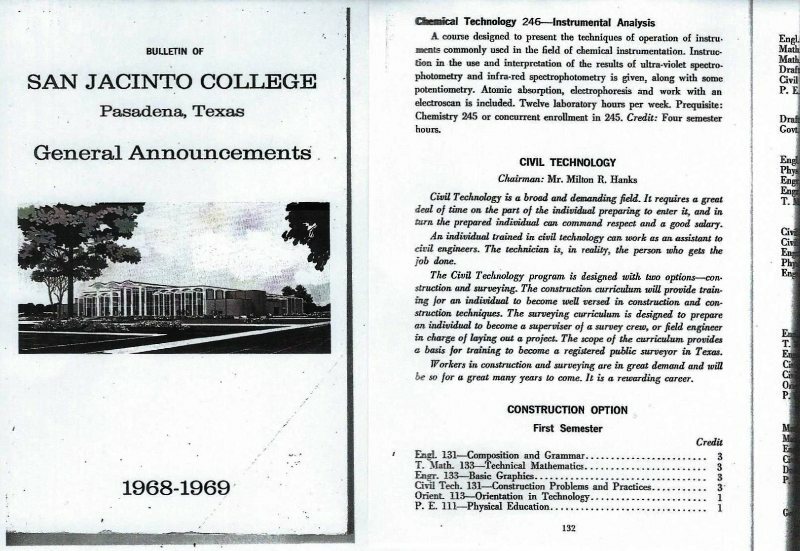 Pictured above is once again another general course catalog sent out to students highlighting various programs that San Jacinto Community College offered. Milton is pictured demonstrating how to use the instrument as well as general survey techniques while out in the field. Teaching and education has been one of Milton's passions. He was not the kind of teacher that only taught you for a semester and then you never spoke to him again. Many of his students have now become his lifelong friends and still to this day will call him for help with various jobs. Not only do they call but many of his students still drop by the office. 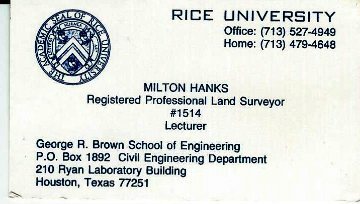 After teaching at San Jacinto Community College, Mr. Hanks went on to teach at Rice University in the Civil Engineering Department for 24 years. 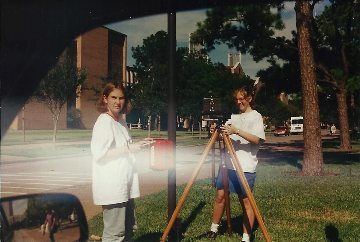 Pictured above are some of his students from 1995 surveying around the Rice University campus. Teaching was and still is a great passion of his. The above photo was taken the summer of 1966 when Milton was sent over to Chandigarh, India by the State Department to teach surveying. As part of the State's program to aid foreign countries, they sent 5 individuals to India for 6 weeks to teach engineering and surveying to Indian educators. Thank you to everyone that came out to celebrate with us! We had such a great time and want to really thank everyone for their gifts and kind words. The food and company was amazing! 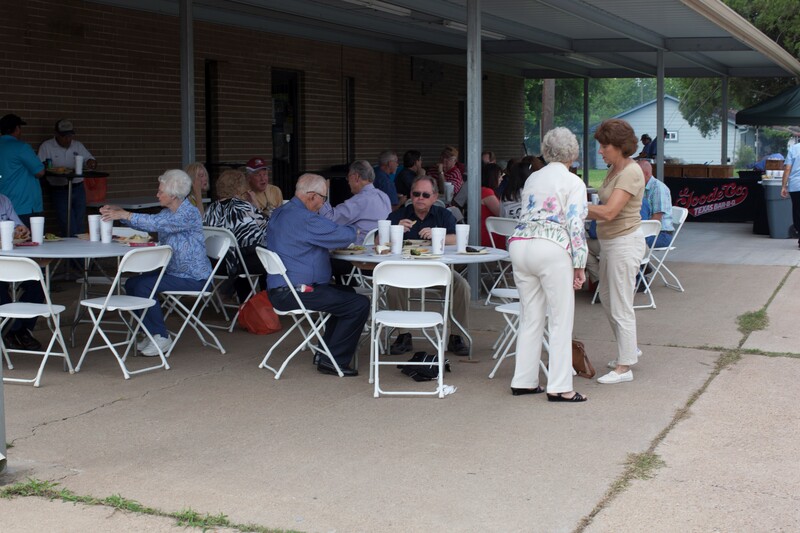 We're definitely going to be doing a customer appreciation luncheon every year from now on. So thanks again to everyone who came out to support us! In 2009 Milton was featured in the Houston Construction News paper which is published monthly highlighting various companies and leaders in the construction community.